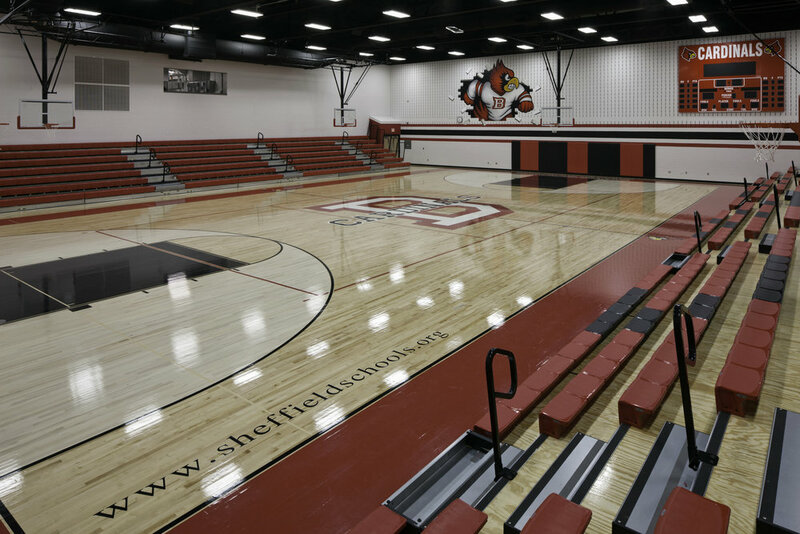 The new LEED GOLD 7-12 building for Sheffield-Sheffield Lake City School District is a single story structure designed in the Western Reserve style and accommodates 928 students. Drawing from similar civic buildings in the Sheffield community, classical elements and large canopies over entrances and masonry define the façade. 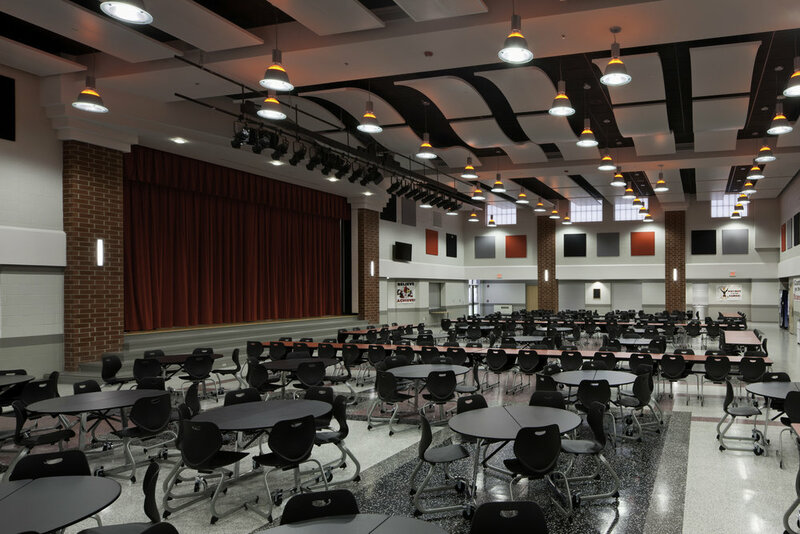 This building completes the first phase of a larger centralized district campus. 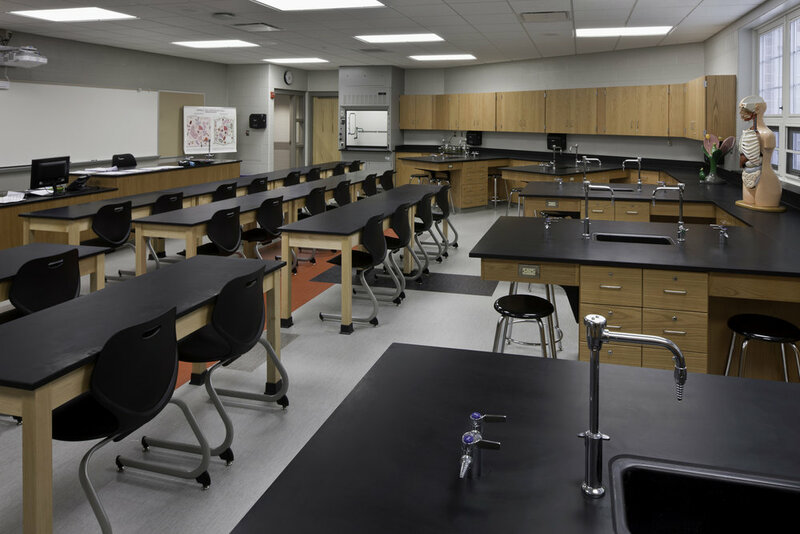 While accommodating grades 7-12, the school is designed to separate middle school students from high school students. 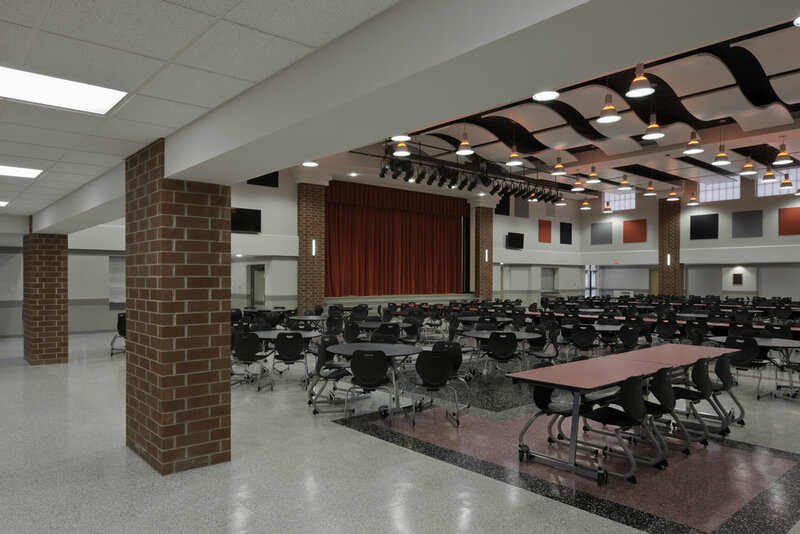 The high school and middle school wings are separated by shared spaces in the central core of the school, which includes administrative offices, media center, music area, and cafeteria. 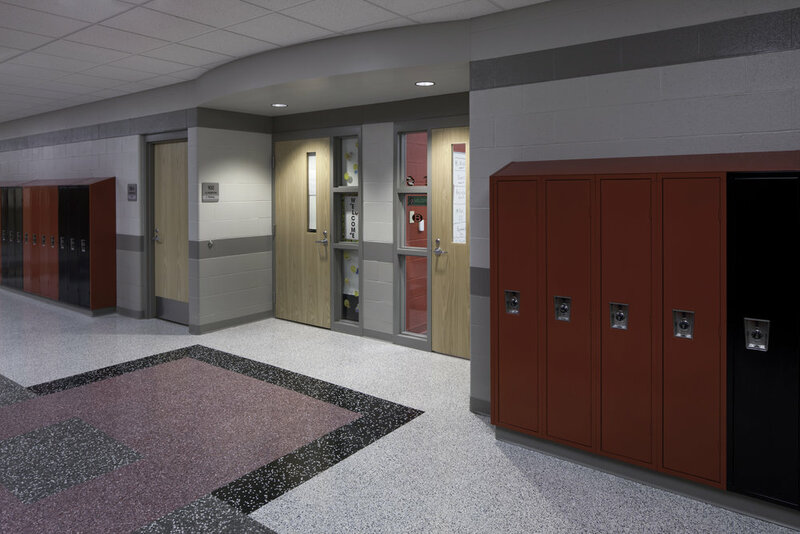 These spaces, while shared by all grades, serve to keep students separated into their respective academic wings. Two gymnasiums finish the central core, creating a double-height spaces the length of the building through a strong a center axis.